We are here...inventing the future! 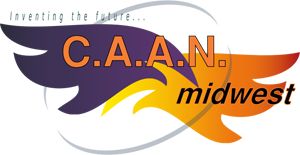 CAAN events are free unless noted. Be at the first Joliet PrideFest. 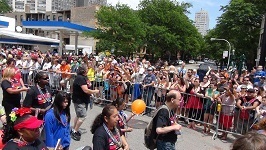 The first festival in Joliet, IL to celebrate LGBTQ pride. It's kid friendly, drag queen/king welcoming, trans/non-binary/gender fluid inclusive. It's where a bi can be and even mainstream lesbian and gay people will be comfortable. June 29, 2019 starting at noon at Bicentennial Park. Food, music, and of course the corporate vendors will be there. THE ONLY LGBTQ NEWS AND ENTERTAINMENT SOURCE FOR NORTH CENTRAL ILLINOIS Read it here. The Intersections is a project of CAAN. It was born at a CAAN Congress where one goal was identified as to find ways to make our community more safe. Connections are a start. The Intersections started as a print newspaper but we found that whole stacks would be thrown away so we took it online. It's a free webzine for you. Gender Explorers is a free, peer-run support group for transgender adults in and around Joliet. Our mission is to provide a safe and confidential space for individuals to share their personal experiences and explore questions of identity, transition, and/or coming out with people on similar paths. We are inclusive of both female-to-male (FTM) spectrum and male-to-female (MTF) spectrum individuals, of genderqueer persons, of intersexed folks, and of those questioning their gender identity. People of color and people with disabilities are encouraged to attend. The meeting space is accessible. The group meets monthly on 3rd Wednesdays from 6:30p - 8p Universalist Unitarian Church in Joliet. 3401 W. Jefferson Joliet, IL 60431 For more information E-mail Gender Explore. Unicorn is a free, peer support group for transgender and questioning youth and their parents/caregivers. The youth meet each other while their parents/caregivers support and share with each other. For ages up to 18 years old. They meet every other month on the 1st Mondays from 7:00p - 9p Universalist Unitarian Church in Joliet. 3401 W. Jefferson Joliet, IL 60431 For more information E-mail or call CAAN. It started January 7, 2019. Every Friday the LGBT Seniors Program at West Suburban hosts a lunch and discussion group. New participants are welcome. Discussions include topics of interest such as information on particular medical issues, advocacy issues for LGBT seniors, sharing stories and memories, current events and general conversation. We also invite outside guest speakers to discuss a variety of educational issues. Crazy Crafters – Every Monday we have our weekly Crazy Crafters night from 7-9PM. Monthly Movie Night – The fourth Wednesday of every month from 4-6 PM we host a movie night. Movies shown reflect an LGBT theme and speak to the experience of being LGBT. Ballroom Dancing - all skills levels, including beginners are welcome. Ballroom dancing classes recur every 2nd and 4th Thursday of each month from 2-4 PM. The LGBT Seniors Program offers free case management (seniors 55 and up in the western suburbs) and mental health counseling. All programming takes place at the Forest Park office location at 8300 Roosevelt Road. Go to their website here. Contact the LGBT Program Director at 708-234-1859 or eric@wsseniors.org for more information. Live in a Village home and are provided a vehicle and household budget. Are professionally trained and benefit from a community of support. Are provided a stipend in return for their service. Care for up to six children - siblings are kept together. Can be single, or married with one person working outside of the home. Save lives by giving of themselves and making sure that the needs of the children in their care are met. Pinwheels is a network of families embracing their children's and teens gender creativity in a kind and loving manner. Our support group focuses on providing a monthly meeting place for parents to connect with other families by sharing information and experiences. There is a group in Homewood. Go to their website here. If you want information about a youth group in Joliet please fill out the contact form. The GLBT National Help Center has a Trans Teens Online Talk Group and GLBT Youth talk line. Please go to their website. for more information. Anybody who steps outside of gender stereotypes can be at risk for discrimination, violence and murder. These issues are intersectional. A disproportionate number of murder victims are transgender women of color. People who do not consider themselves a part of the LGBTQIA communities are at risk if they are perceived to be part of the LGBTQIA community. The Transgender Murder Monitor (TMM) Project website is found at https://transrespect.org. We expose the rips in the fabric of society. Some people just want us to go away. We cannot go away. We are nature's human beings who were born in or who immigrated to the United States. Our job is to stay alive, to pursue happiness, and to be secure in the knowledge that we are sufficient exactly as we define ourselves. We held a Congress June 27, 2015 and decided we must begin the conversations with other leaders of the community to create together a Safe Community for All. What we have experienced is that it is hard to even get in the doors much less to start a conversation. We will not be deterred. Another Congress will be held in 2019. Don't lose your civil rights in Illinois. Speak out against racist, ableist, transphobic, homophobic talk right when it happens. Let's work together for a Safe Community for All.